Satanic or not, the drink clearly took off, as evidenced by the Starbucks on every other street corner in every major & minor city. Yet, while the Catholics & the rest of the world fully gave in to the caffeinated drink, there remains a obtuse, Puritanical group that refuses its temptation. I’m talking, of course, about the devout nootropic brain hackers — many of whom consider caffeine a “smart” drug for the plebs, the false K-Mart brand of cognitive enhancement. 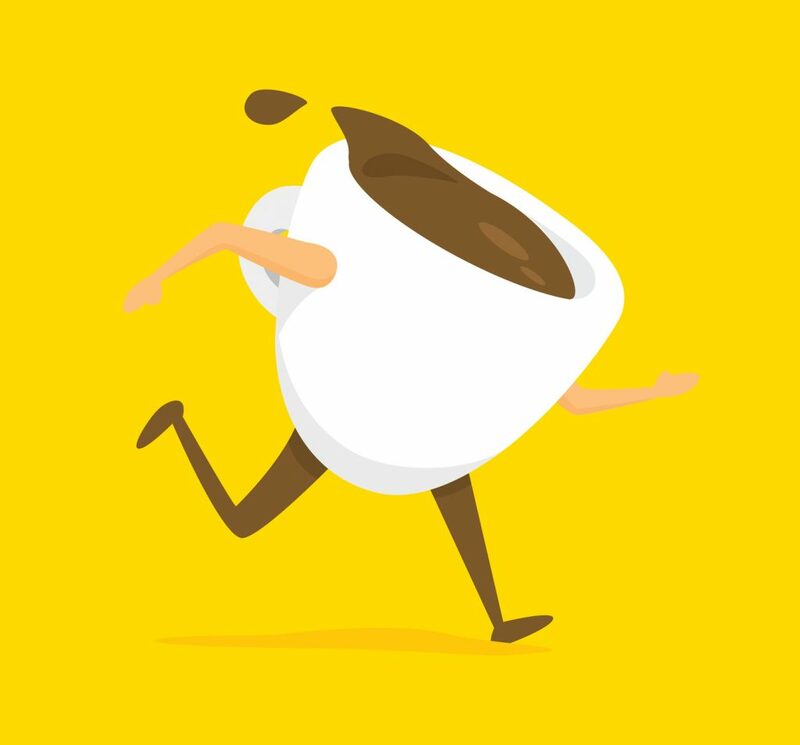 TL/DNR: True Dr. Giurgean nootropic enthusiasts don’t view caffeine as a legitimate nootropic, despite its evident and reliable cognitive enhancement abilities. The reason for this: caffeine doesn’t nourish the brain as effective nootropics do. It only stimulates cognition. Which is, admittedly, pretty awesome, and the reason why I inwardly thank God everyday for caffeine. Is Caffeine a Good Nootropic? Let’s count up the world’s population for a moment. Altogether, we’re looking at 7.5 billion people, give or take however many thousands. Why is the nootropic geek reviewing caffeine?? 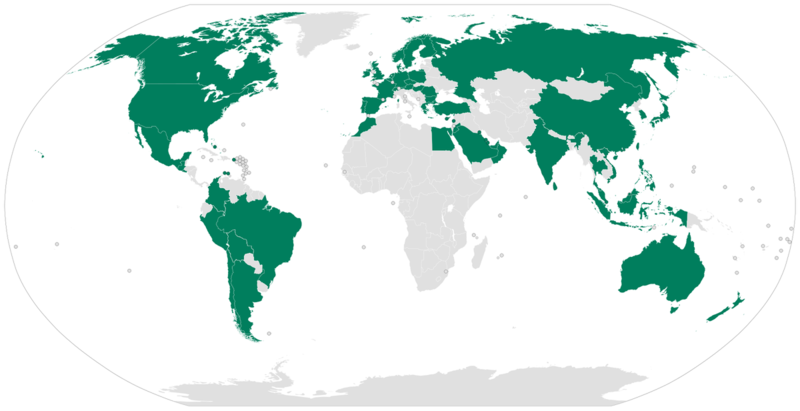 Map of Starbucks across the world. If I give caffeine a negative review, does that mean 6.75 billion will stop consuming it? Am I arrogant enough to think that 6.75 billion people even read my articles? The respective answers to both of those are No and Yes. Regardless, it’s a compound worth reviewing, stemming from a question worth considering — at least by the nootropic community — that question being: Should I include caffeine in my nootropic stack? After all, there’s a reason so many people consume this drug: it’s one of the few natural substances that enhances cognition & mental energy with such reliable potency. Personally, I don’t view caffeine as a bona fide nootropic. Returning readers of this website will be familiar with my stance on caffeine, as expressed in my reviews on products that rely on it. The body is really effective in starting itself up and shutting itself down. One of these key self-regulatory feedback loops in the body is the adenosine pathway, which tells the body to calm the hell down when it’s amped the eff up through adenosine, a byproduct of neuronal communication that builds up in the brain, binding to brain receptors to settle nervous activity. 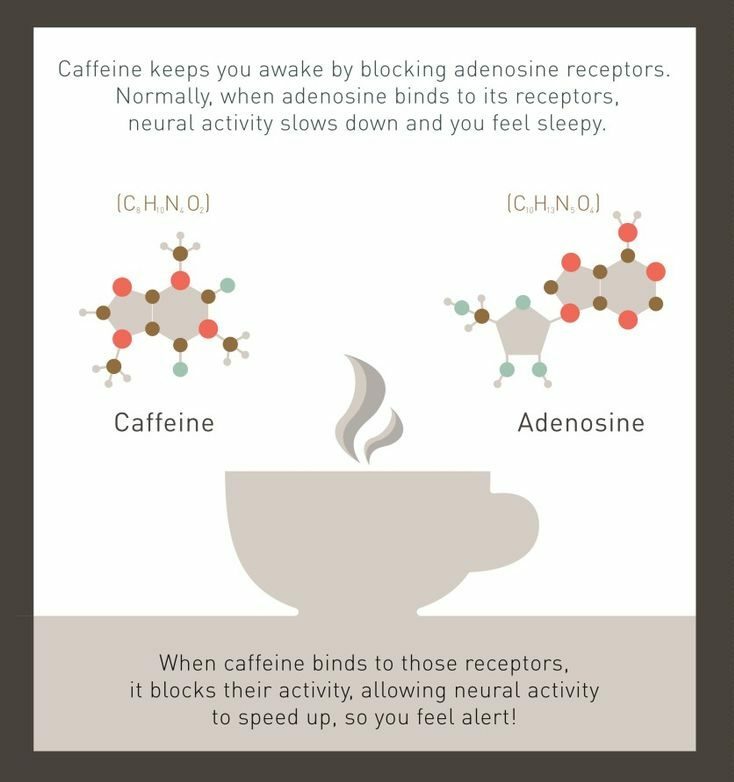 Caffeine prevents the binding by fitting very neatly into the adenosine receptors, preventing adenosine’s “settling” from occurring for a sustained, caffeinated alertness. Perhaps one of the questionably alarming effects of caffeine is its increased signalling for “fight-or-flight” stress hormone (e.g., cortisol) release from the adrenal glands. Similar to true fight-or-flight conditions, this stimulation temporarily boosts attention, focus, reaction time, energy, strength, & endurance. The reason this might be alarming is due to the inactive states that many habitual coffee drinkers are in while engaging this “stressful” pathway, which, as Robert Sapolsky pointed out, isn’t a pathway you want to habitually activate if you’re frequently inactive. Caffeine shares this biomechanism with smart drugs & wake-promoting agents such as Adderall, Adrafinil, etc. : The enhancement of dopamine signalling in the brain. Caffeine does this by antagonizing adenosine A2A receptors — however, caffeine-induced increases in dopamine receptor availability, and thus increases in dopamine reward-arousal, seem to require larger-than-usual acute caffeine intake (300 mg p.o.). Mental stimulation & feel-goods. Those are the two primary benefits of supplementing caffeine, and the reasons why nearly every supplement these days — from nootropics to fat burners to some testosterone boosters — includes the stuff: caffeine feels good, and consumers tend to return to products that make them feel good. That sounds unnecessarily cynical …but it’s true: Many manufacturers practice what’s called “Fairy Dusting” which is essentially loading a proprietary formula with a hefty amount of caffeine, then sprinkling (fairy dusting) in small amounts of actually effective ingredients to give the appearance of well-rounded product — when in reality all you’re getting is caffeine. It’s cheap, providing clear-cut cognitive benefits that feel good and that are easily (mis)attributable to the other ingredients listed in a supplement. For traditional coffee, tea, soda, etc. drinkers, this is fine, they know what they’re getting into. But in the world of manufactured nootropic products, the benefits of caffeine are shady. Constricted blood vessels – by up to 27% vasoconstriction. Irritability & anxiety – a.k.a. “wired” and overstimulated. Tolerance build-up – explaining the headachy withdrawals. Adrenal exhaustion – provoked by overstimulation of the stress system. In short-term, temporary instances, these bio-effects may serve positive outcomes, e.g., vasoconstriction easing a headache — however, heavy, long-term users may more often experience the negative end of these side effects. Caffeine improves cognition. L-theanine improves cognition. 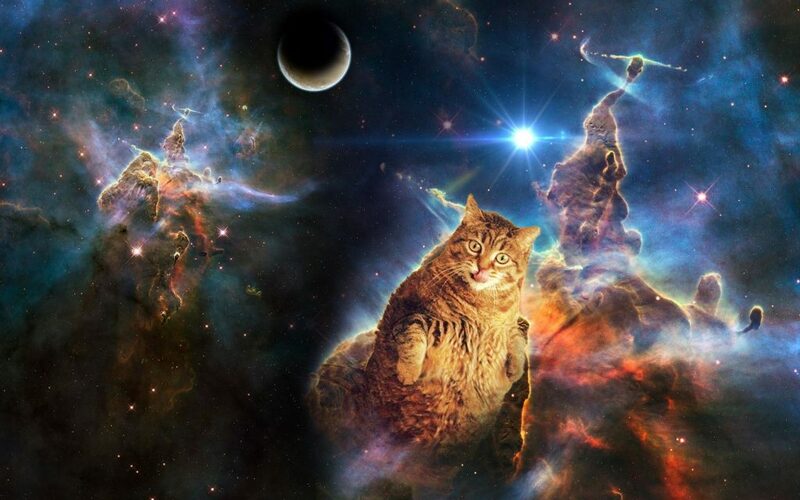 Together, they even further improve cognition beyond their standalone pharmacological capacity. A phenomenon referred to as synergy. One study that investigated the acute cognitive & mood effects of L-theanine (250 mg), caffeine (150 mg), & L-theanine + caffeine measured this effect, finding the combination to be more effective than its constituents in visual processing accuracy, simple reaction time, numeric working memory reaction time, sentence verification, & headache rating. “There was also a significant positive caffeine x L-theanine interaction on delayed word recognition reaction time. These results suggest that beverages containing L-theanine and caffeine may have a different pharmacological profile to those containing caffeine alone.” More on L-Theanine. 1 cup of coffee (8 fl oz) ≅ 95 mg caffeine. 1 cup of green tea = 35-70 mg caffeine. 1 cup of black tea = 60-90 mg caffeine. 1 cup of white tea = 30-55 mg caffeine. 1 cup of oolong tea = 50-75 mg caffeine. Up to 400 mg caffeine daily has been demonstrated as maximally safe & effective. Consuming standalone caffeine anhydrous powder is easier for nootropic enthusiasts to monitor their intake but also increases the risk of overdose — daily dosages of 500+ mg caffeine may cause side effects. Do as I say, not as I do: I think it’s smart to avoid caffeine, disqualifying the drug as a bona fide nootropic compound due to its: A) occasional impairments on cognition, B) adrenal activation, and C) addiction risk. Yet, I’m a habitual caffeine drinker. To my credit, I consume caffeine the nootropic way, i.e., the only way: w/ L-theanine. And, in the words of Dr. Jordan Peterson, the combination is No Joke — of all the classic nootropic stacks available (e.g., piracetam + choline, centrophenoxine + uridine), I find the caffeine + L-theanine stack the most reliable in terms of quick, noticeable boosts on cognition. Since starting this intermittent fasting routine, I’ve found the coffee + L-theanine a must, as I tend to experience the jitters more readily on an empty stomach — and L-theanine, of course, helps reduce this side effect for a cleaner caffeinated experience. I also drink pots of green tea at a time, leading me to kind of almost worry about my L-theanine intake (after all, I mix upwards of 400 mg L-theanine with my coffee), but I’m afraid I’m at the point of no return: straight “vanilla” caffeine simply doesn’t feel good anymore w/o L-theanine. So my advice: If you have to use caffeine (and, frankly, you don’t have to), stack it with L-theanine. And if you don’t use caffeine, screw it: take L-theanine anyways. My experience says yes. My standards say no. Or more specifically they say: Caffeine is not a true nootropic. And this comes with great irony because caffeine is the most popular cognitive enhancing psychostimulant in the world, consumed by seemingly everyone over the age of seven. However, for the ultimate nootropic goal of hacking & optimizing brain function aaaand structure, caffeine doesn’t quite fit the bill. And, in reality, I’d say brain function & structure actually improve under caffeine abstinence. Not to say that mature & self-aware caffeine users can’t supplement the stuff in a truly nootropic fashion. It’s just that most of us can’t. I’m an editor at The Mission, a publication with over 2M monthly uniques and 300k+ followers. We’d love to republish this article on our publication. Publishing with us doesn’t hurt SEO, you can remove your article at any time from our publication, and we always link back to the original article. If this is something that interests you, please reach out to me via the email provided for more information. Hope to hear from you soon!